Used Alfa Romeo 147 Review - 2001-2009 Reliability, Common Problems | What Car? What should I look for in a used Alfa Romeo 147 hatchback? There's no hard and fast rule with the Alfa Romeo 147. Some models are utterly reliable, their owners reporting not even a blown bulb between services, whereas others are nothing but trouble. That said, suspension repairs are where most money gets spent. One particular worry is the cambelt, which is recommended for a change after 36,000 miles or four years, whichever arrives sooner. There's a known problem with these breaking, causing major engine damage. It's a wise move to change it as soon as you buy any used 147. Alfas in the past were often unreliable, but recently the company has worked to throw off its poor reputation. The 147 shows that it's getting better, but it's still some way short of the best. 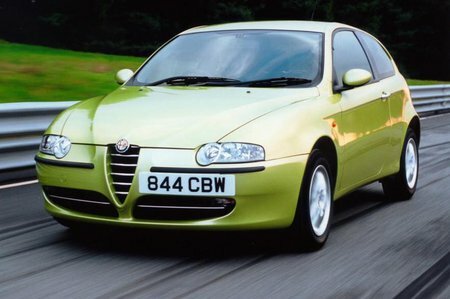 What are the most common problems with a used Alfa Romeo 147 hatchback? Is a used Alfa Romeo 147 hatchback reliable?